‘Machu Picchu Pueblo’ is a picturesque town located at the foot of Machu Picchu. To arrive to this place is obligatory to visit the Inca City. 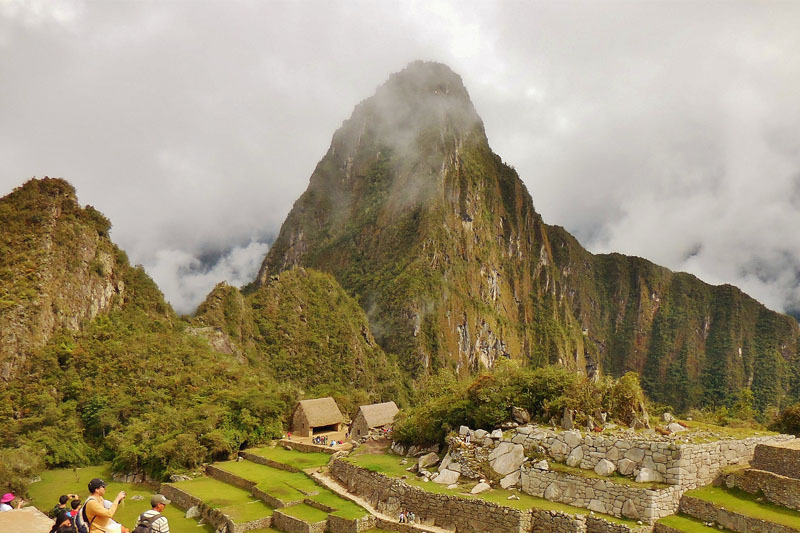 In this post we gather information on how to get to this place and how to visit Machu Picchu without problems. How to arrive by train from Ollantaytambo? How to arrive by bus to the Santa María hydroelectric station? How to get there by the Inca Trail? How to get there by walking? How to buy the Machu Picchu ticket step by step? When to visit Machu Picchu? Aguas Calientes is also called Machu Picchu town. It is located at the foot of the Machu Picchu mountain. It is the closest town to the Inca City. This picturesque town is completely dedicated to the people who visit Machu Picchu. It has no vehicles on its streets, except buses that take visitors to the entrance gate of Machu Picchu. Aguas Calientes has more hotels per square meter than any other place in the country. There are also other services such as restaurants, bars, cafes and more. If you arrived very early in Aguas Calientes you have the option of going directly to the entrance to Machu Picchu. You can also choose to spend the night in the town and get up very early to the Inca City of Machu Picchu. You can get to Ollantaytambo by bus from the city of Cusco; It will take about an hour and a half to arrive. In Ollantaytambo you can board the train to Aguas Calientes as long as you have purchased the train tickets in advance. Traveling by train is the fastest way to get to Aguas Calientes, although it is also one of the most expensive ways. The train ride lasts about 2 hours. Peru Rail and Inca Rail are the companies in charge of train services to Aguas Calientes. This route is one of the most used options by backpackers due to the reduced price as well as the incredible experience. The route allows you to visit the thermal baths of Cocalmayo and enjoy amazing landscapes. The trip starts from the city of Cusco by bus to the town of Santa María. From there in the same way to Santa Teresa. 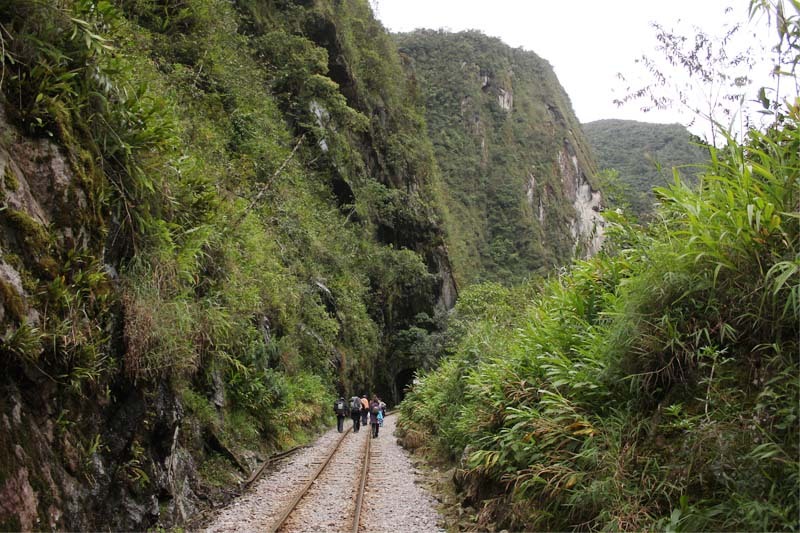 Finally you must walk or take a train on the Hidroeléctrica – Aguas Calientes route. Getting to Aguas Calientes by the Hydroelectric route takes 7 or 8 hours. It is the cheapest way to get to Machu Picchu but also the longest. The Inca Trail is a 4-day hiking trail that leads to Machu Picchu directly through Puerta del Sol ( Intipunku ), without going through Aguas Calientes. This hike is absolutely overcrowded. Only 500 people can enter to visit it every day. Tourists must buy their tour 4 or 5 months before. The classic Inca Trail lasts 4 days but has a shorter alternative, only 2 days. In the classic version, tourists travel approximately 39 kilometers on foot. In the short version, the road is 11 kilometers. Once in Aguas Calientes, you have 2 alternatives to get to the entrance gate to Machu Picchu National Park. 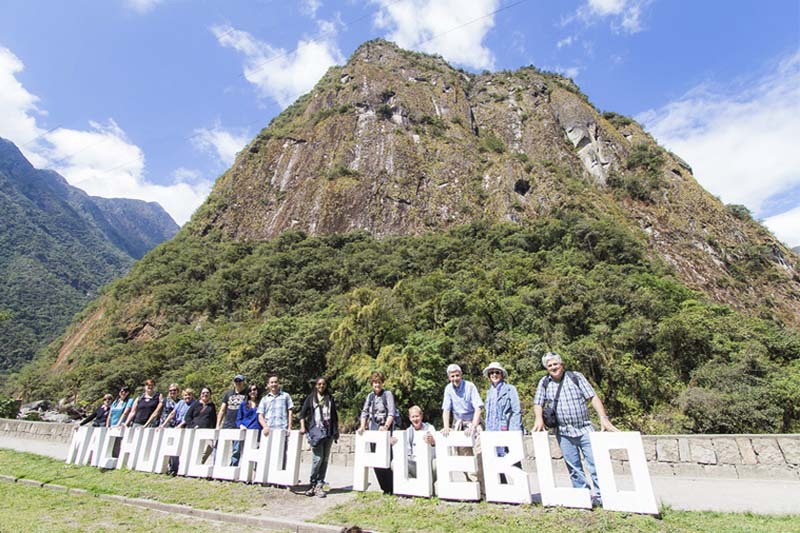 The buses depart from Aguas Calientes to Machu Picchu every 15 minutes approximately. The buses are ecological. Your station is located just to the side of the final train station. The box office is also in front of her. Buses take between 20 and 25 minutes to reach the entrance gate to Machu Picchu. In total they travel 9 kilometers. Do you have good physical condition? Then climb on foot. The walk is uphill and has a moderate difficulty. It is not recommended to walk up if you will later enter the Machu Picchu or Huayna Picchu mountains: places where you will need a good physical condition. It will take around 2 hours to get to Machu Picchu walking. The trail is well signposted. The return is not so difficult because the road is in descent. It may take 1 hour or more. It is advisable to return before 5 pm to avoid that the darkness does not allow visibility when going down the mountain. 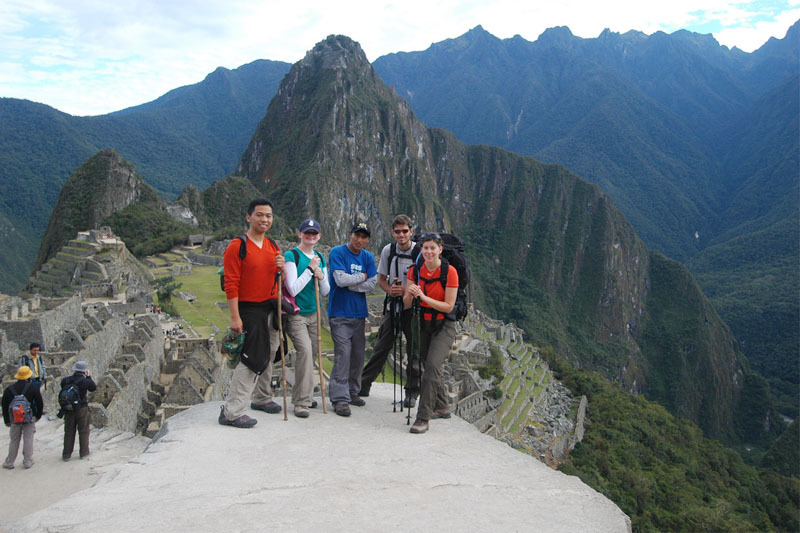 One of the most common ways to visit Machu Picchu is to do it with an organized tour. The other way is by buying tickets directly. To buy Machu Picchu tickets choose the dates and the type of ticket. Then check the availability, pay with Visa, MasterCard and print your tickets. The Huayna Picchu ticket must be purchased 3 months in advance. Otherwise, you will not find availability. Check how to buy the Machu Picchu ticket. This ticket includes the tour of the Inca City of Machu Picchu but not the entrance to the mountains. You can see the Temple of the Sun, Temple of the Condor, Intihuatana and all the buildings of the Inca City. Group 2 – entry from 7 a.m.
Group 3 – entry from 8 a.m.
Group 4 – entry from 9 a.m.
Group 7 – entry from 12 p.m. This ticket will allow you to enter the Inca City of Machu Picchu and the famous Huayna Picchu mountain. Only 400 tickets are available per day so you must buy the ticket months in advance. This entrance allows you to visit the Inca City as well as the Machu Picchu mountain. In total there are 800 tickets available. It is recommended to buy the ticket weeks in advance. This ticket, in addition to including the Inca City of Machu Picchu, will allow you to enter the Machu Picchu Site Museum in Aguas Calientes. In the Inca City of Machu Picchu – The same 9 schedules as the ticket Machu Picchu Only. Buy the Machu Picchu + Huayna Picchu ticket online up to 3 months in advance. Remember that it is the ticket with the most demand in Machu Picchu. The limit of people who can enter Machu Picchu every day is limited. Tickets must be reserved in advance. The Machu Picchu + Huayna Picchu tickets must be reserved 3 months in advance. The limit of spaces that can enter the Inca Trail is 200 people per day. Tickets must be purchased 4 or 5 months in advance. The day of the visit to Machu Picchu you have to take your printed ticket along with the documents with which you made a reservation. University students, minors and tourists from the Andean Community of Nations (Colombia, Ecuador, Peru and Bolivia) have access to discounts. Immediately after booking the Machu Picchu tickets, buy the train tickets. These are also limited. At the entrance to Machu Picchu you will find dozens of tour guides who will offer their services. Tour guides gather groups of 6 to 12 people to start the tour of the Inca City. The guided tour lasts around 2 hours. They will not allow you to enter Machu Picchu with more than a small backpack or a small handbag, so forget that huge backpack. There are no bathrooms inside Machu Picchu, so we recommend you go before entering. Otherwise, you will have to leave to use the toilet services. In addition to climbing to Machu Picchu, there are other activities that you can do in Aguas Calientes such as the Putucusi mountain, the artisanal market, the Mándor gardens, etc. The town of Aguas Calientes is completely dedicated to visitors to Machu Picchu. There you will find hundreds of hotels: from shared lodgings to 5 star hotels. You can visit Aguas Calientes and Machu Picchu every day of the year. Some people choose to visit it in the dry season (April to October). Others, the rainy season (from November to March). While there is not a bad time to go to Machu Picchu; The dry season has days of more sun and less chance of rain. However, every day is a good time to get to know Machu Picchu. If you want to visit the Inca City, book the tickets now. Also keep in mind that the dry season coincides with the high season of tourism. In those months everything has to be booked in advance.